Apparently it doesn't produce a newly named gerber object. Instead, you just work with whatever it has in memory. I ise Scotch 665 double sided tape and lately I use a heavy item connected to the ground pin when probing. Put it on the pcb and you get the pcb face grounded. The probe pin clips to the bit. I tend to probe using the same bit used for engraving. You select the bottom layer in flatcam. I create a bounding box around it first. Then select the box, the x axis. A few alignment drill locations on one side of the flip line. Hit create aligment drills and hit mirror object which mirrors the already loaded bottom layer (GBL) object. If you watch closely you should see the tracks are mirrored. Then select the object and go on with creating iso geometry and cnc paths. Yes, I think the flatcam's original instructions were faulty. It said to load both the top and bottom layer. Maybe that's fine for selecting pin alignment locations, but there should be only one layer displayed before the mirroring, or else it creates a mess. Also, I had thought it would create a new file for the mirrored gerber, but it doesn't. Instead, I just work with the mirrored gerber that's in memory to produce the gcode for the mirrored image. I guess that's good enough. I drilled the alignment holes with 0.8mm diameter. I'm using regular male header pins for the alignment, and having tried it, I think 0.8mm is really too tight. Not sure how @andrew is using 0.7mm. Different pins I guess? Anyhow, next time I'll try 0.9mm hole diameter. How do I mill a slot? Do I treat it the same as a regular hole, except use a routing bit rather than a drill bit when it comes time to cut the slot? Couldn't find a good answer to this, so I'm going to approximate it by simply drilling a series of overlapping holes. It's needed for the micro-usb connector. As an experiment, I thought I would standardize on 0.9mm holes for the through-holes, via-holes, and alignment holes, so that there would be fewer tool changes. Looks like it will work, but, meh, I think I'll use smaller via holes in the future. Out of time for today, so I plan to etch the flip side tomorrow. @neverdie 0.4-0.5mm for vias using 0.3mm silver plated "wrapping wire". 0.9 for TH and alignment holes. Argh, it just occurred to me that I was premature in drilling the TH and via holes, because they may seriously interfere with the autoleveling when I etch the reverse side. This must be why @andrew etches the mirrored bottom side first, so that when it's flipped the top side can be etched and then drilled. Re-using the alignment holes already drilled, I flipped over the PCB and etched the mirrored bottom. It worked! Some of the traces are only as thick as a hair, but they all conduct and none are broken. I guess I'll have to flip it again in order to route the board outline. So, count that as yet another reason to start by etching the bottom first. I had to autolevel at 6mm in order to dodge all the holes I had prematurely drilled, so perhaps that's why this particular etching came out so uneven. 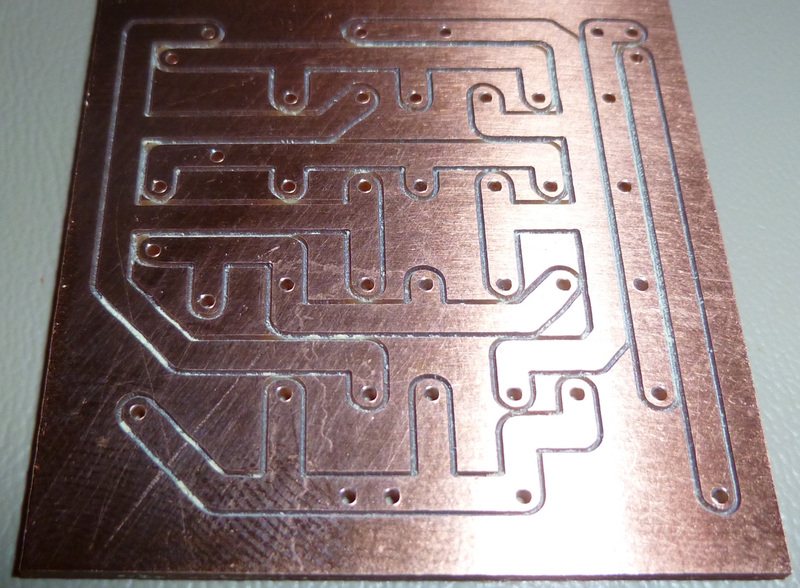 as I see your results, you could use alignment holes closer to your actual design's border, but it should be definitely out of the pcb's edge + milling tool width area. you can mill holes, which are bigger than your drill bits, you can find a milling section in flat cam when you are working with the drill file. you can mill slots as well, for this the slot has to be designed properly in the PCB designer software. you have to draw closed shapes on e.g. the edge cuts layer, then basically you have to follow the same approach in flatcam that is used to create the edge milling cnc job, but instead of the edge lines, you have to select the slots. if you design it that way, then you can do both the slot and edge milling at once. maybe my pins also have different factors, but indeed, the given holes are pretty tight. this helps to prevent unnecessary pcb movements, which is very important if you work with 6mil traces/isolation, as a small unwanted movement could result in wasted pcb. if you work with bigger traces/clearings then it is not as important. I would recommend to stick to one size which is good for your selected pins and which does not let the pcb to move. Three of the vias are located under an SMD module, so I'll just have to try to minimize any solder bumps over them. Unfortunately, even a tiny solder bump prevents the module from being soldered. I would have to redesign this so that the vias are not under the module. @NeverDie Just have to say, I have been following this thread for a while now and you have come a long way with this. Great job. So, for simple small things, it's a handy arrangement, and the incremental cost is negligible. @neverdie Perhaps a clearer explanation ? Maybe it's the quality of the blank PCB? I just don't know. @neverdie It looks like you could potentially make those traces just a touch wider looking at the receiving end of the module. Woulld that be an option? Woulld that be an option? Maybe: I'll try a 10 degree bit and tighter autoleveling to see if that gives wider traces. @neverdie i say that because in your previous pic of the board it looked like that trace was a bit narrow. Because of that it probably couldn't take the heat. This time, though, you can actually see the copper trace has curled up away from the board. @neverdie It is quite odd that that one did it and some of the others didn't on that side of the board. Looking at your previous image, the pads and traces on the side marked in green look noticeably larger than the ones marked in red. Look at the ones marked with the blue arrow. It looks like those should, or at least could be the same size. Your thru hole pads on the left for the breakout headers also look smaller than the ones on the right. Shouldn't the two sides be a mirror image of each other? @dbemowsk It's because the left side of the board is higher than the righthand side, and apparently the autoleveling isn't working all that precisely. @neverdie I can see that the left side looks like it cut deeper, which would cause that. I still think it is the thin traces though. Can you do any manual leveling of the bed? If so, I would attempt that. My Anet A8 3D printer, though not a CNC, is all manual leveling and I do have to check it from time to time. I suppose I could shim under the sacrifice board with slips of paper to get the right height. I would have thought that the autoleveling would have accurately compensated though. Not sure why it isn't, especially if I'm autoleveling at 2mm spacing. Maybe this is an area where a future version of the GRBL driver will get it right. @neverdie cnc milling auto leveling is not like 3d printing bed leveling. In 3d printing the firmware probes the bed, stores the values and automagically compensates at every move. In cnc milling the host control software asks the grbl to move and probe each point, then it modifies the gcode accordingly and sends that gcode to the controller which in turn just moves in the xyz coordinate system. Now, are you sure your gcode is updated to reflect the leveling? Normal flatcam gcode has a few Z-0.1 moves, the rest are only G1X...Y... (without Z) and autoleveled gcode has almost every move with z, like G1X...Y...Z.... Chilipeppr also adds some comments at the end of the lines like "new Z" or "Z mod". If you run the autoleveling probing but do not hit "send autoleveled gcode to workspace" in CP or "apply height map" in OpenCNCPilot the probing is useless. @neverdie I just wasn't sure if your CNC had any way of manually leveling the bed. My 3D printer has screws in the 4 corners of the bed for me to manually level. I have been sticking to manual leveling on it because I have heard of people that have switched to auto-leveling that have had a number of problems. Maybe you need to switch to a different type of auto-leveling sensor. @executivul Interesting. I did not know this. That is quite different. What firmware? BEST sensor ever = piezo sensor. I get 3 micron accuracy and repeatability. I use it on Marlin 1.1.8 with UBL on a corexy printer and also on a Smoothie delta. @executivul I don't have a sensor yet. If I was going to switch to one I would have to flash a different firmware on my board. It is a newer version of Marlin. Marlin=Arduino (usually Mega2560). So UBL. What type of printer? @executivul I do manual leveling and I rarely have to level the bed itself. @neverdie for pcb milling a small height difference across the board's area could result in a big negative effect if autoleveling is not performed properly. I would double check your autoleveling process, on the other hand, you could also try to use bed flattening with a bigger endmill tool first, then place the pcb to the flattened area. 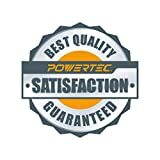 this could help you to eliminate or decrease the cnc assembly or the sacrificial board caused roughness. "If it works don't break it!" yes. In Chilipeppr I send the autoleveling to the workspace, at which point it modifies the gcode. What's the best type of sacrifice board to use if doing bed flattening? Regular wood, or should I stick with particle board or MDF? It seems the z-height only needs to be off by a small amount (say 0.02mm) to have a noticeably negative effect on the trace width. @neverdie Sorry @andrew, wood is not a stable material, it is not inert and changes shape, it breathes if you will. Artificial materials such as particle board or MDF have a stable matrix, but of the two, MDF is the more uniform and least reactive, hence it's popularity for kitchen cupboards, loudspeaker cases, etc.. It is easily machined, but is hard on the typical router bits, although nowhere near that of HDF. I would suggest either a thick MDF or layers glued together, cut the sides to requirements, lock it in place and set a 6 or 8mm router bit for MDF in a collet, and set it to work, ideally outside where you can hose it down after sweeping up and vacuuming. Not sure whether it interferes with soldering. Anyone know? For now I'm cleaning it off. So a CNC question as I build my prototype machine. 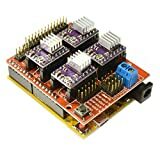 I have an arduino with CNC shield on order that should arrive tomorrow. My question is, does this allow for a display and keypad for local control or is everything just done through GRBL? But it's a pretty cool board for veeeery reasonable price. I love it ! @ben999 Thanks can't wait to try it out. @ben999 So reading through your specs, everything seems pretty straight forward. I get that the spindle motor will need it's own controller which can be driven by the CNC board. One thing I am confused on though, what is "cloning axis of your choice". I am new to CNC. your machine is probably a 3-axis CNC, so in most cases one stepper per axis could do the trick.